Upgrade your 2013 or newer Ford F-53 stripped chassis with the ROUSH CleanTech liquid propane autogas fuel system. This system creates a clean-burning vehicle that lowers operating costs and emissions without sacrificing performance. With no loss in horsepower, torque and towing capacity, you get a powerful, economical solution to traditional fuel costs. ROUSH CleanTech propane autogas fuel systems for Ford’s F-53 stripped chassis are distributed exclusively through Green Alternative Systems. To order, call 888.926.0620. 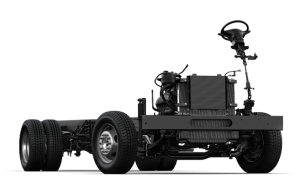 The Ford F-53 stripped chassis equipped with the ROUSH CleanTech propane fuel system provides the same great performance, horsepower, torque and towing capacity as the gasoline powered counterpart. In any altitude or extreme weather condition, you can depend on this fleet vehicle to provide reliability and performance. By incorporating propane autogas Ford F-53 stripped chassis into your fleet, you will be helping America achieve energy independence because this alternative fuel source is domestically produced. Converting your fleet to propane autogas will also help your company to turn a greater profit by saving you on the bottom line costs of fuel and maintenance. You will increase customer loyalty because your customers will appreciate you providing them with a more environmentally responsible way to receive your products or services. * = Measurements reflect F-53 with 26,000 GVWR and 228″ wheelbase. Also availalbe on 158″, 178″, 190″, 208″, 242″ and 252″ wheelbases. See http://www.ford.com/commercial-trucks/strippedchassis/ for additional measurements.